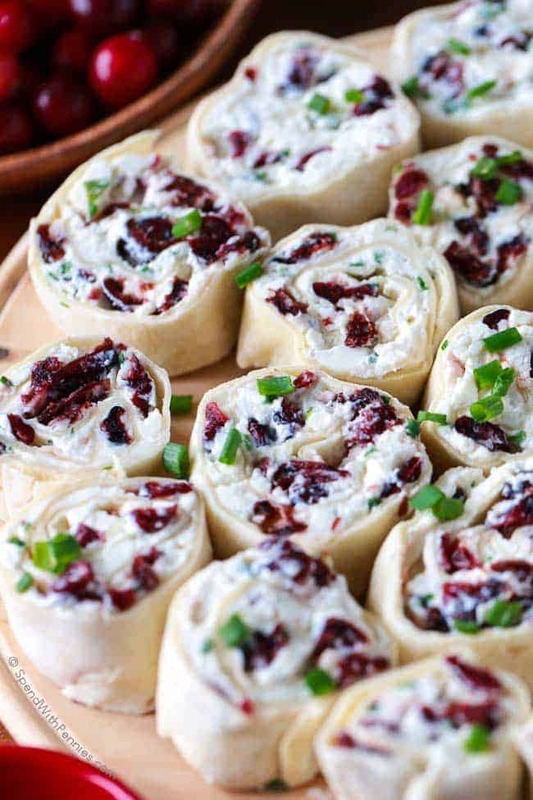 Cranberry Feta Pinwheels are the perfect make ahead holiday snack or appetizer. 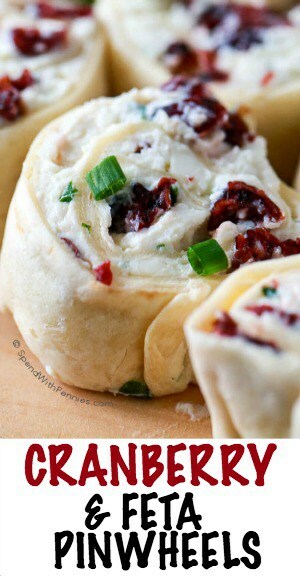 A creamy filling with feta cheese and sweet dried cranberries rolled in tortillas and sliced. These are the hit of every party! 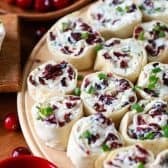 This Cranberry Feta Pinwheels recipe has been around forever and it’s definitely loved by absolutely everyone! It’s perfect for any time of year but especially perfect for the holidays! 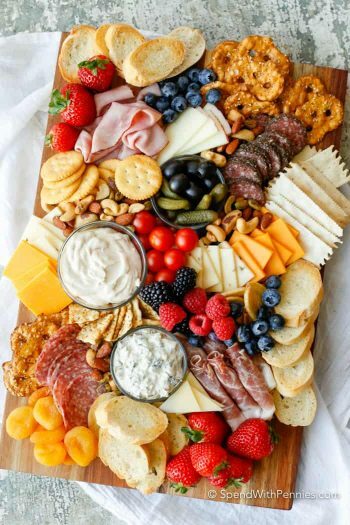 Not only are they pretty and look festive with the reds and greens, they’re great because you can prep them up to 24 hours ahead of time making them the perfect holiday snack or appetizer! 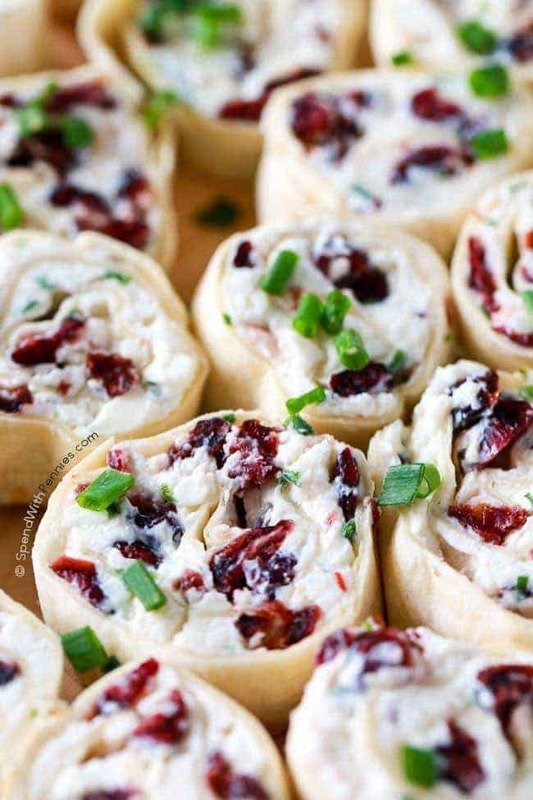 The flavors in this recipe are perfect… creamy cream cheese, salty feta and sweet dried cranberries. You can use green onions in place of the chives, I personally like the chives as they have a milder flavor. While I’ve used white flour tortillas in this recipe, you can certainly use red (tomato) and green (spinach) tortillas to make them festive and add even more color! 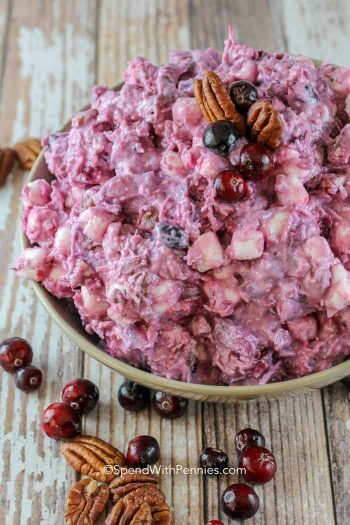 The filling can be mixed by hand but I find using a mixer to beat the cream cheese makes it light and fluffy (and much easier to spread). If you find your cream cheese hard to spread, just add in about 1/4 cup of sour cream. Be sure to divide the mixture between 4 large tortillas so there isn’t too much filling. Leaving a 1/2″ border helps to ensure the filling doesn’t overflow. 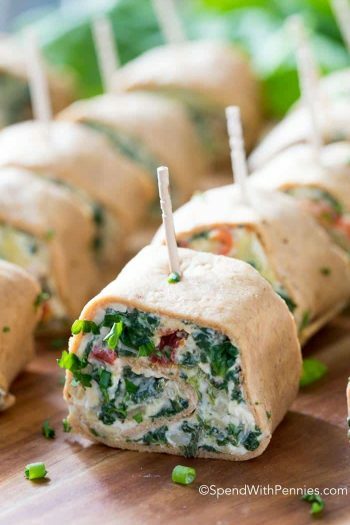 When rolling, you’ll want to roll them as tightly as you can and then wrap them in plastic wrap and refrigerate for up to 24 hours before cutting and serving. 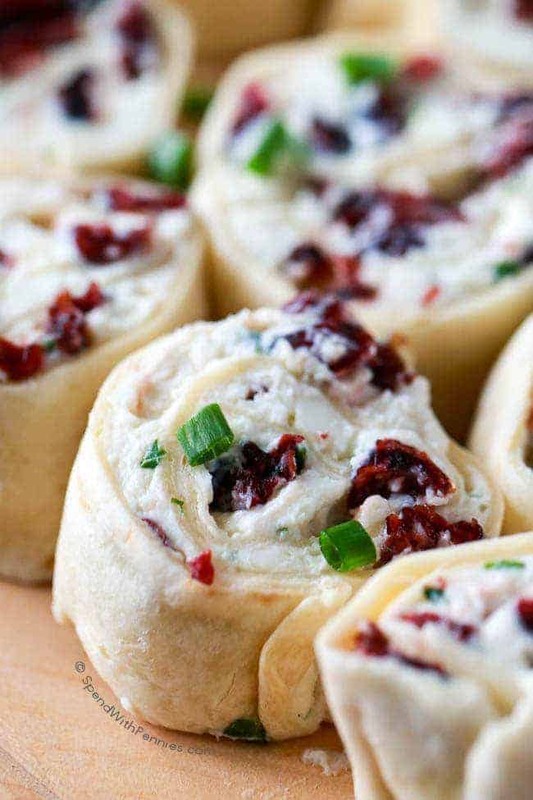 Cranberry Feta Pinwheels are the perfect make ahead holiday snack or appetizer. 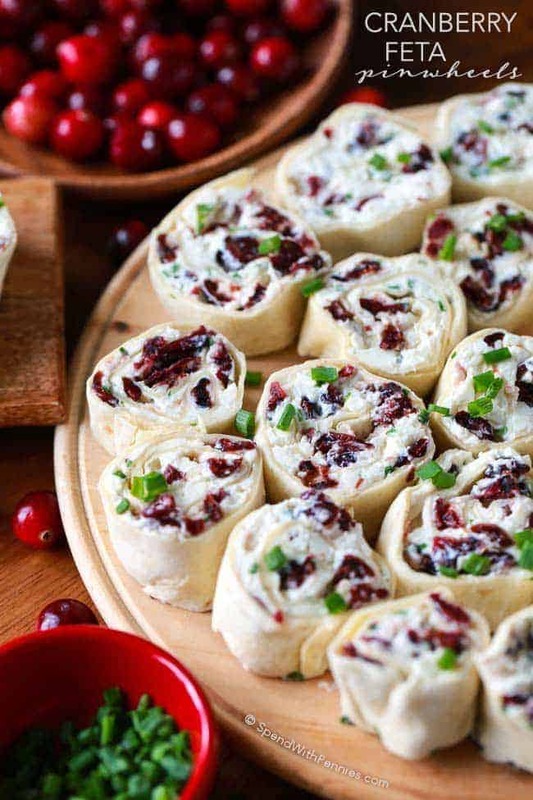 A creamy filling with feta cheese and sweet dried cranberries rolled in tortillas and sliced. Place cream cheese in a small bowl and beat until fluffy. 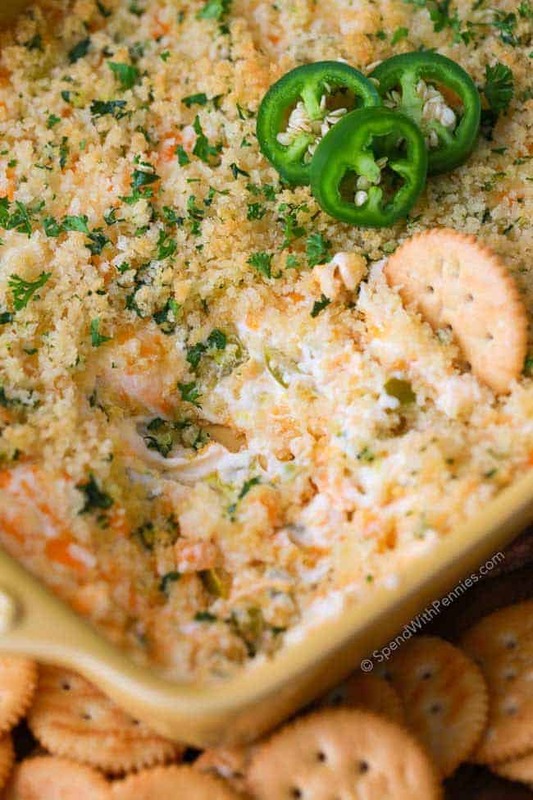 Add in remaining ingredients (except tortillas) and mix well. Spread the mixture evenly over the 4 tortillas. 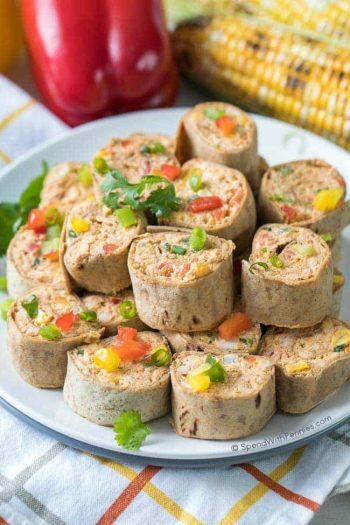 Roll each tortilla in plastic wrap and refrigerate at least 1 hour. Cut into slices and serve. 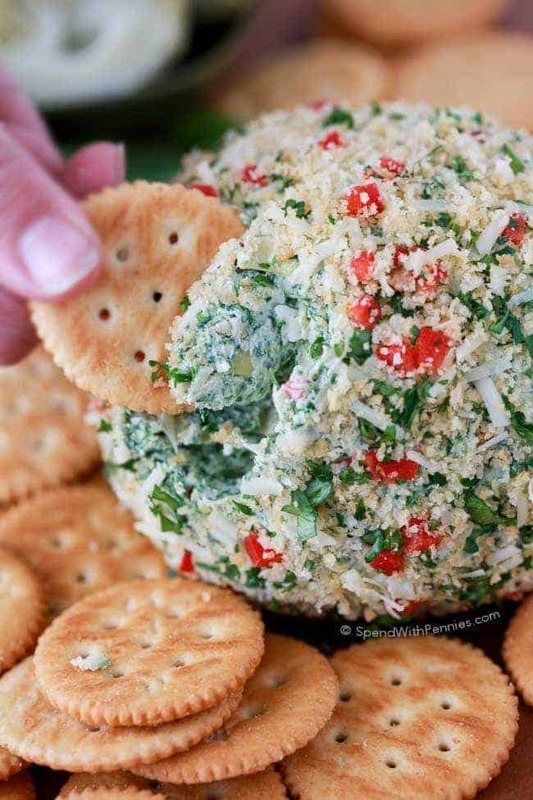 The feta mixture can be difficult to spread. I’ve found that the back of a metal spoon works the best.